The play, Chilmark, opens at the Playhouse on Tuesday, August 21, with a reprint of the Gazette from 1885. Last week, in addition to printing the regular weekly paper, the Vineyard Gazette printed copies of its Friday, August 21, 1885 edition. 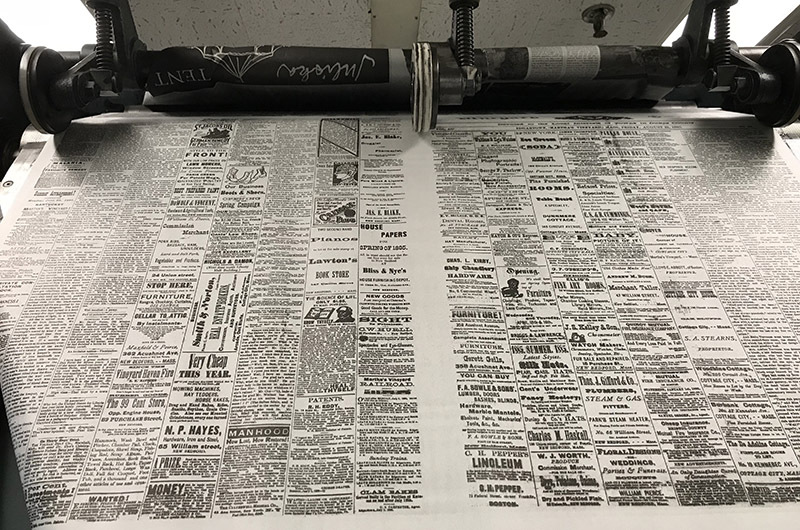 That particular edition, which usually lives in microfilm, was born again for a special outing — as a prop for the new Martha’s Vineyard Playhouse production opening on Tuesday, August 21. The play is called Chilmark and takes as its subject matter a unique time in the history of the Vineyard when Chilmark was mostly a deaf community. The new play was written and directed by Catherine Rush and is set during the end of the 19th century when almost every family in Chilmark had a deaf relative, and most in the community knew how to use sign language. The play begins previews on Saturday, August 21, with all shows starting at 7:30 p.m. There will be a reception on opening night with the cast following the show. Look out for copies of the Gazette too, filled with stories and advertisements from the summer of 1885. Visit mvplayhouse.org for tickets and information. One of Shakespeare’s greatest villains, Richard III, has been the man audiences love to hate.